Dawn on the 6th June, 1944. The largest invasion in history is underway. Four miles to the west of the Allied landings at Omaha Beach, a flotilla of landing craft head towards Hitler’s ‘Atlantic Wall’ defences. 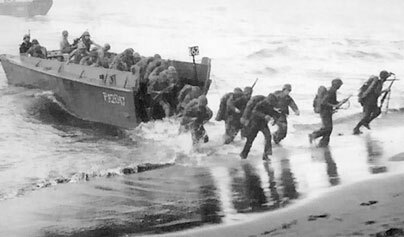 The landing craft were carrying just 200 men, of a newly trained elite force - the United States Rangers. Their objective was the vital German coastal defence gun battery on the headland known as the Pointe du Hoc. Climbing the ninety foot cliffs under a storm of German bullets and grenades, the Rangers found that the German guns were not where they should be. What followed was a desperate game of cat and mouse, as the Rangers attempted to hunt down the guns. The story of their mission is remembered now as one of the most extraordinary aspects of the D-Day landings. How did the heavily outnumbered US Rangers take, hold and destroy the guns of Pointe du Hoc?